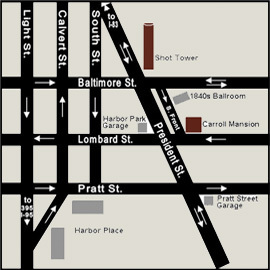 Carroll Museums, Inc., founded in 2002, is the nonprofit organization spearheading the revitalization of the Carroll Mansion and Phoenix Shot Tower, two of Downtown Baltimore’s most storied landmarks. Through innovation, collaboration, and cultural stewardship Carroll Museums honors and preserves the sites’ heritage, seeks creative and engaging ways to interpret their past, and makes them active participants in their modern community. 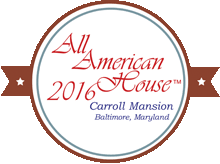 Carroll Museums serves the Baltimore community and national and international visitors. We lease the Phoenix Shot Tower and the Carroll Mansion from the City and, as stewards, are responsible for the sites’ restoration, upkeep, and public access. We also create programs to disseminate the sites’ diverse history. 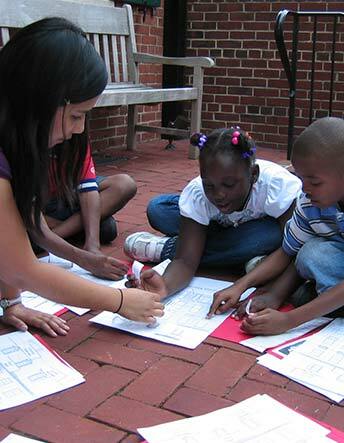 Our Baltimore Patriots and Discover Heritage Walk curricula, “art-meets-history” initiative, and summer SuperKids enrichment program have been built through partnerships with neighborhood museums, arts groups, and local universities and are helping our young organization reach constituents and develop new audiences. Carroll Museums is dedicated to creating educational and cultural programs to ensure the Mansion and Shot Tower are sought-after Baltimore destinations.